Home Article RHOBH Star Teddi Mellencamp Arroyave Living a Bliisful Marriage With Her Husband Edwin Arroyave Since 2011: Know Details About Her Kids, Career, and Net worth. 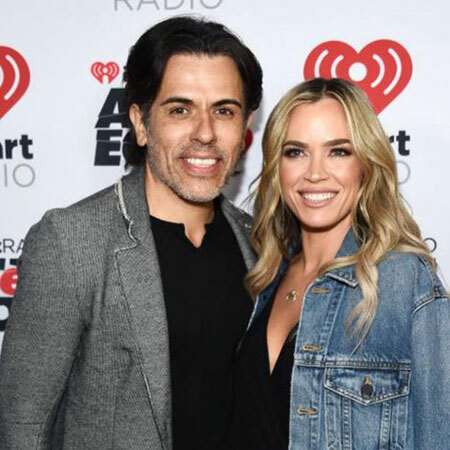 RHOBH Star Teddi Mellencamp Arroyave Living a Bliisful Marriage With Her Husband Edwin Arroyave Since 2011: Know Details About Her Kids, Career, and Net worth. Teddi Jo Mellencamp is one of the stars of RHOBH, who is accountable for coaching as well as a fitness influencer amidst huge followers all over the world. But still, many of them still haven't figured out about her on-going relationship with her husband. Is it because the lady still looks young and gorgeous like the high-school kids? Let's find out more about Teddi Mellencamp Arroyave married relationship including her net worth. The Real Housewives of Beverly Hills star Teddi Mellencamp Arroyave relishes a blissfully married relationship with her husband Edwin Arroyave for last eight years. Teddi Jo Mellencamp and her husband Edwin. The CEO and Founder of Skyline Security Management, Edwin and Teddi walked down the aisle on July 7, 2011. Recommended: Andy Cohen and Melissa Gorga Sued for $30 Million By RHONJ Star's Former Business Partner Jackie Beard Robinson! Together, the two became the proud parents of two kids; Slate Arroyave a daughter and Cruz Arroyave; a baby boy. But they co-parent three of them as one daughter is from Edwin's previous relationship. Edwin and Teddi shares a joint Instagram account that reflects all the joyous moment of the happy five. Thank you @marykitchen for having us...Edwin, I think since you handled these ponies so well you are ready to own some... oh, and maybe an a/o horse for mommy? Until now, everything is smooth and their relationship also sets a perfect example of love can happen at any age and anywhere. But, many of them did not know, this is Teddi's second marriage. Initially, Teddi got hitched to her boyfriend, Matthew Robertson on 3rd June 2006. The couple first met each other on a blind date and eventually fell in love. However, their relationship couldn’t last long and the pair got divorced soon. Mellencamp parents a child Isabella from her husband's previous marriage. With her on-screen appearance and as the wife of Skyline Security CEO, Teddi's garnered a massive fortune. As of 2019, Teddi Mellencamp Arroyave's estimated net worth is $5 million. But it doesn't go credit solely to her. Teddi Jo Mellencamp house is up for sale! Her musician father John Mellencamp helped a lot to shape his daughter future. From her journey and becoming the star of RHOBH, Teddi's garnered huge earnings that add up to her net worth. Although her salary from the show is yet left to be revealed it is known that her castmates are paid in hundreds of thousands of dollars per year. RHOBH's co-star Lisa Vanderpump is pocketing $350K annually while Kyle Richards on $275,000. Meanwhile, other stars Yolanda Hadid and Kim Richards earn a whopping salary of $100K every year. You May Read: Yolanda Hadid blames Lyme disease for her divorce from her ex David Foster. Be that as it may, Teddi has more recently kept her multi-million mansion for sale. Mellencamp is selling her L.A. home for $3.2 Million. 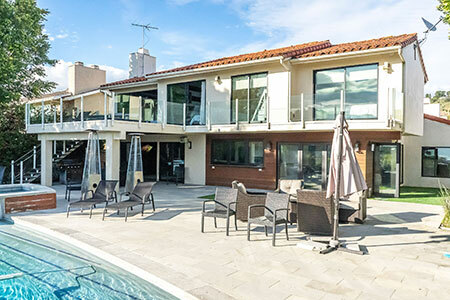 Mellencamp purchased her RHOBH castmate Megan Ellison’s Beverly Hills home for $4.07 million in January 2018. Besides the show, she earns from other brand endorsements. Not to forget, but the lady is quite popular and acts as an accountability coach through her various social media platforms. Teddi Mellencamp Arroyave was born on July 1, 1981, in Bloomington, Indiana. She is the daughter of American musician John Mellencamp and Victoria Granucci. She grew up along her other siblings Hud Mellencamp, Justice Mellencamp, Michelle Mellencamp, Speck Mellencamp. The 37 years old actress stands with a height of 5 feet 5 inches on the ground. The American national blonde looks even gorgeous on her blue eyes.